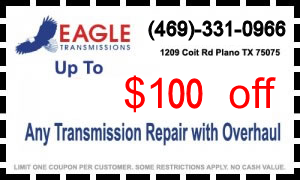 Thank you for choosing Eagle Transmission of West Plano! 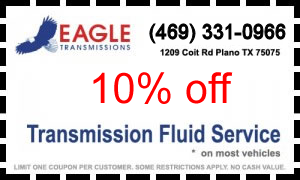 Eagle Transmission of West Plano has been the experts in Transmission diagnosis, service & maintenance, servicing all of the Plano, Frisco, McKinney, & Surrounding areas for over 20 years! We offer a complete range of domestic and foreign car transmission services. Our transmission center has the technology, equipment, and certified technicians to get your transmission fixed right the first time, all at a competitively fair price. If you think you have a transmission problem, bring your car into us or we can tow it for free! We look forward to seeing you soon.